One of the truest truths in my life is that I love talking business and how to leverage what makes you unique to thrive. Gathering women in this way creates incredible community, clarity in businesses and these deeply strong and talented women are leaving with a PLAN! We do not have to do this alone! We just finished our Creatively Made Business workshop in Palm Springs last night and our hearts are FULL! This is the best gig in the world! 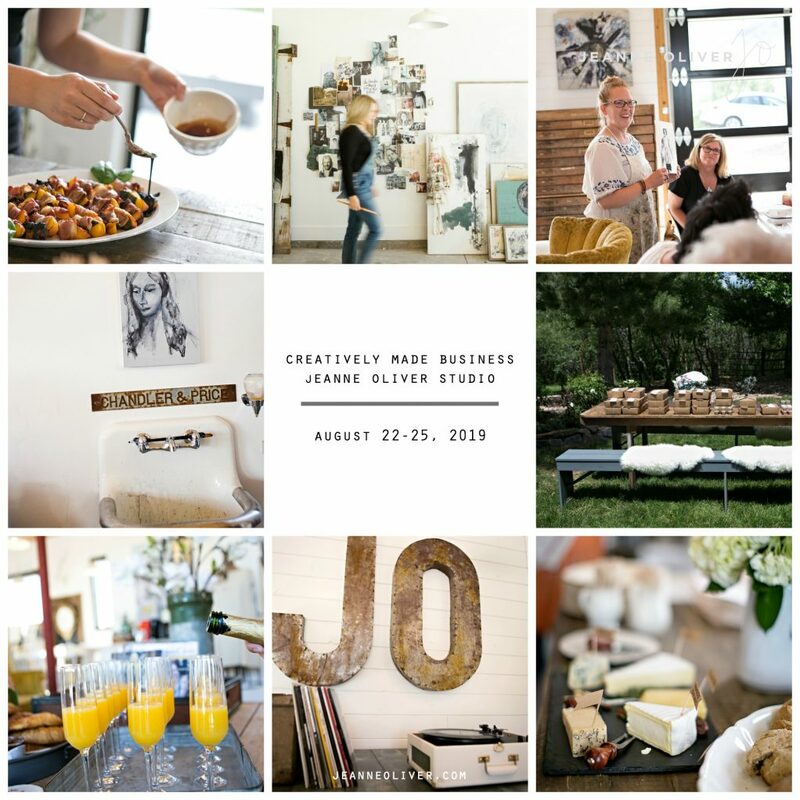 I am so excited to share that our next live business workshop will be held at our home and studio in Castle Rock, CO. If you want to see peeks into the workshop that just ended please follow hashtag #creativelymadebusiness and #jeanneoliver on Instagram. It was amazing. We promise that not only will you have three days of focused business training but a whole lot of fun too! We are opening registration RIGHT NOW. I hope you join us! If you are looking for community, clarity and a plan for what is next in your business and dreams we want to see you in August! *Payment plans available at checkout and you do not pay anything extra to make payments. If you make your payment in full we will send you one of our gorgeous vintage fabric handbags! Come and read all of the gorgeous details HERE!